Are you ready for the best sealing technology? Especially if you are tired of fabric welding limitations associated with impulse and high frequency welders? Transitioning from impulse welding to Puls2™ sealing is not as hard as you might think. Although methods are different, they also share similarities. No need to be apprehensive, especially when Puls2™ sealing technology produces strong seamless seals on more materials in less time for increased production and profits with the lowest Total Cost of Ownership (TCO) of any heat sealing machine available. ► Lowest Total Cost of Ownership! Lowest cost to maintain. I'm Interested. Please have someone contact me. 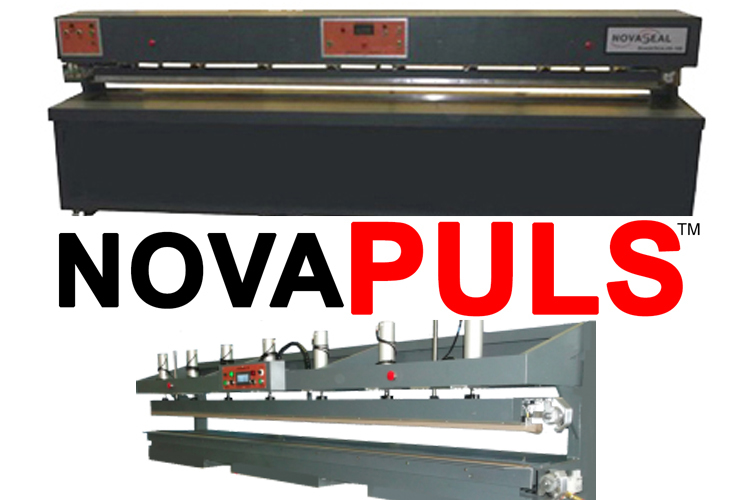 NovaPULS™ TableTop & Factory Floor models for heat sealing all industrial fabrics. Automatic PocketMaker and other modular options available for all standard bar sizes - 40in, 72in, 126in, 168in, 210in, 252in, 294in and 360in. 5 Year Warranty with Forever NovaCARE™ Support. 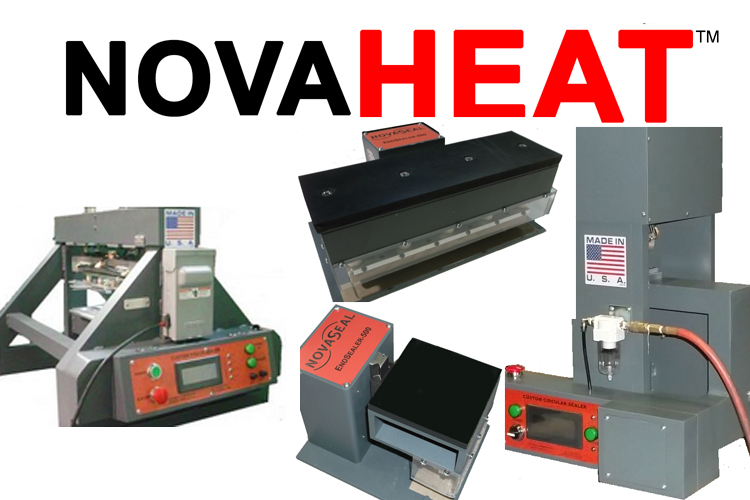 Versatile constant on heat sealers customized to seal any shape patch or reinforcement or as an End Sealer for Hems. Available as Hand Press, Arbor Press or Pneumatic Press. 3 Year Warranty with Forever NovaCARE™ Support. 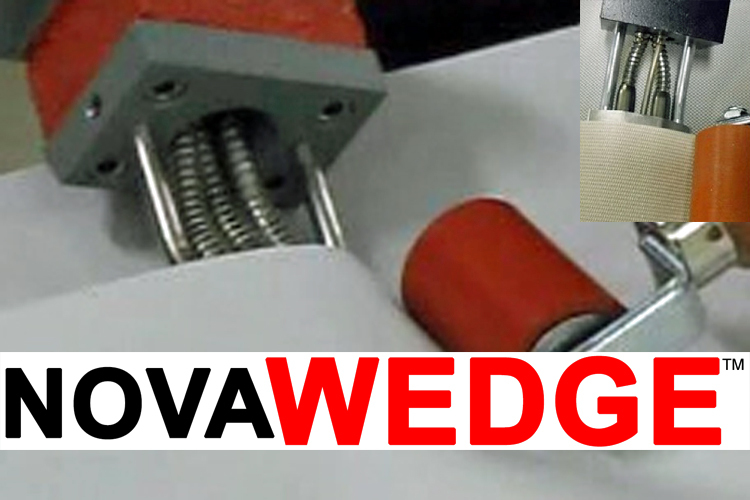 GT-100 Universal Hand-Held Wedge Welder & GT-200 Wheel-Mounted Walk Behind Wedge Welder. Both products for heat sealing Geotechnical materials and industrial fabrics. 3 Year Warranty with Forever NovaCARE™ Support.